On January 13, 2017, the Associated Press organized a pre-session news conference with with the leaders of the Iowa Legislature. 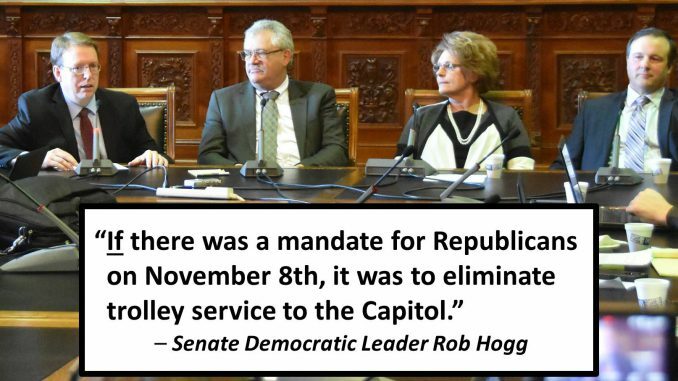 From left to right: Senate Democratic Leader Rob Hogg, House Democratic Leader Mark Smith, Republican House Speaker Linda Upmeyer and Senate Republican Leader Bill Dix. After their meeting, Governor Branstad also met with reporters. 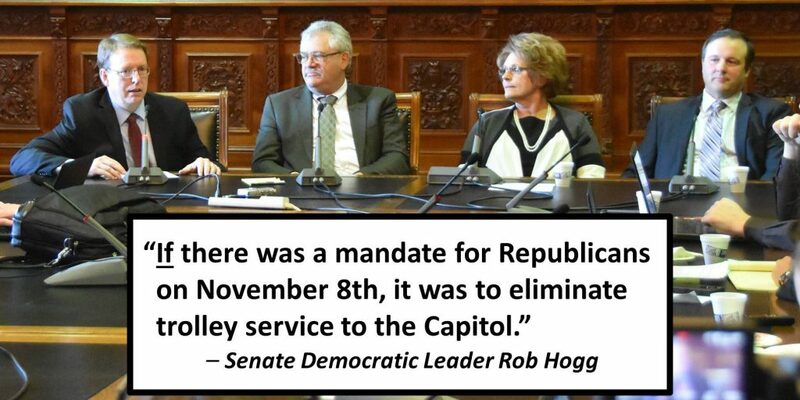 The meetings were livestreamed on the Iowa Senate Democrats’ Facebook Page. The links below will take you to the videos. News coverage is below the videos.